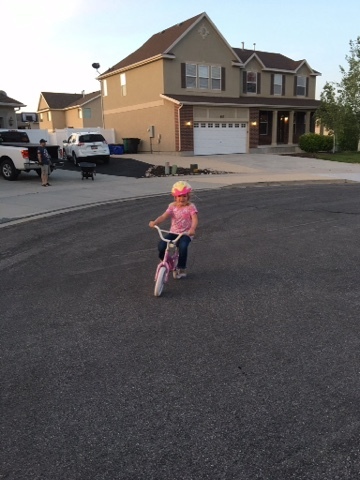 Just like tying shoes, or potty training, learning to ride a two wheeler is a big accomplishment. This little 4 year old, MayLee girl picked it right up. Daddy held on a bit and she was off. 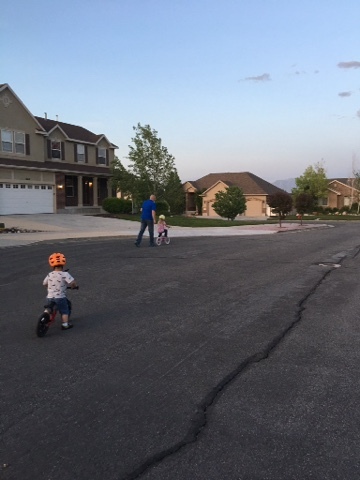 The hard part about learning to ride a bike is, the start. With a little more work, she won't even need me out there pushing her off. 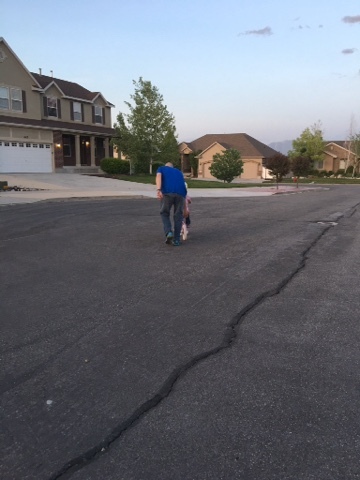 She kept saying,"I got it daddy, let go daddy!!!" Daddy is happy to have another little addict.